When providing on-demand cutting services, we need a good budget calculation system that ensures that it can ensure the predictability of costs and the profitability of each order. If we base the cost calculation for an order request solely on experience, we may make a mistake because we are not taking into account all of the components. On the other hand, we are leaving behind one of the company’s most important processes when we take on a workload outside of the company’s control. To lose someone who has this experience, whether temporarily or permanently, or someone simply suffering from peak workload, will turn what should be a fluid and agile process, such as taking on work while also ensuring the quality of the work and that it provides profitability to the company, into a nightmare for the organization. Many organizations end up assigning this task (or at least the review) to management in order to ensure profitability. Thus, they lose many highly valuable hours that should be dedicated to managing or developing new business capabilities and possibilities. When budgeting, we must take into account the geometry, material, and technologies with which we will be performing the cutting or punching operation and, depending on this, all of the technological components for the machining. Sometimes it is feasible to use multiple blowtorches for the machining process. This decision will mean that the same production can be completed in half or even a quarter of the time, depending on whether we use 1, 2, 4 or even more blowtorches. Using blowtorches divides the machining time directly by the number of blowtorches that we use. However, nesting the parts so that they can be machined with multiple blowtorches means that the consumption of material can be discharged, as it is not as efficient. Finding the point where the savings in time does not entail an overrun in materials and where it does not make sense to use multiple blowtorches is fundamental when we are budgeting technologies such as plasma or oxy-fuel. Another option that we can explore is whether we will be able to use common cutting technologies, which make it possible to reduce both material consumption and cutting time. Occasionally, budgeted jobs are of such a magnitude that a detailed and in-depth analysis of a cost calculation may make sense, since it will enable us to adjust the prices more accurately. What happens when the job is not big enough and the most likely outcome is that it must be cut together with other jobs in order to achieve efficiency once a machine is loaded with a certain material? Moreover, what happens if the client demands the same part or another part with similar specifications and my experience-based calculation system is giving me significantly different prices? Starting with the same base, employee time, machine, consumables, and raw material costs, along with a similar geometry, should we not achieve similar costs? We can never forget that cost and price are different components; and, when calculating them, we must not play with the costs in order to achieve an adjusted price. Rather, we must work out the various manufacturing processes in order to establish which the one that may generate a lower cost is. In other words, we must establish the manufacturing strategy from the budget. From there, we must apply the appropriate commercial margins and/or discounts to arrive at a final price. 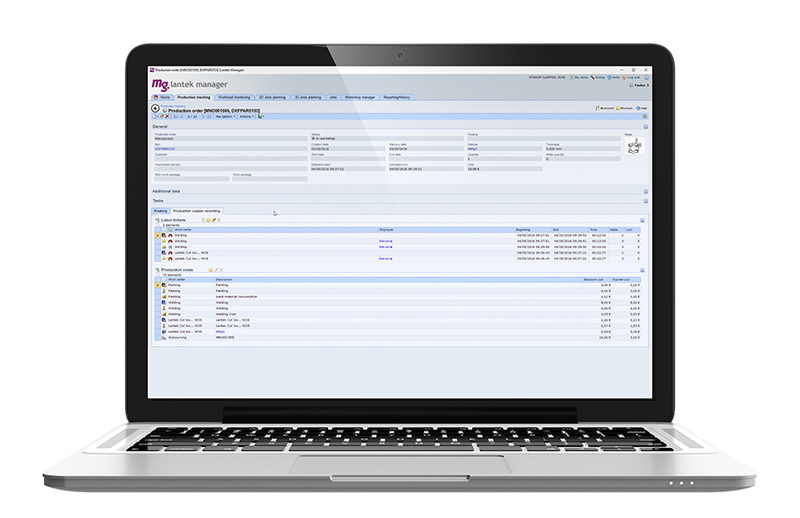 A customized system that is supported by a CAM software package is what may give us that differentiation, when adjusting prices and having control over the margin that we will obtain with each order. We will calculate the cost and from that the price. Using the same strategy, finally we will be able to perform the actual manufacturing, once the budget is accepted. 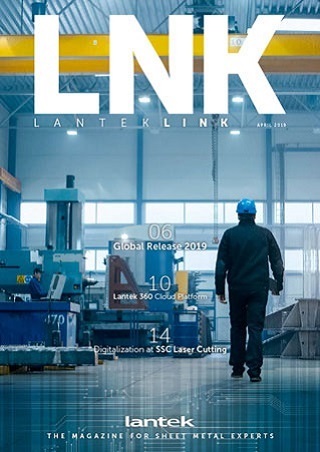 In its development of the Lantek Factory concept, Lantek has built a platform on which software systems use the same algorithms that were used in the generation of the machining and the budgeting. As a factory, my plant must have an accurate reflection in the budget, and if it is incorrect, I need to analyze my costs. The solution is not to play with the cost to achieve a particular price for an order that ultimately may not be profitable. On the contrary, the solution is to budget well in order to manufacture efficiently and maximize the margin.